The number of people, who want to change their lives and get slim and healthy body, is constantly increasing. Sedentary lifestyle, unhealthy diet, and harmful habits cause a great number of health problems including weight gain. That’s why it is vital to solve this problem as soon as possible. Luckily, today, there are many things that can be helpful in our fight with excess weight. There is a huge amount of diets and workouts that can help to get a slim and attractive body. However, you should choose only the most effective and safe methods. As for the diet, it is important provide your body with all necessary nutrients. In this way you’ll have enough energy to perform workouts and will keep your body healthy. It is important to choose effective workouts that will target all the muscle groups too. You should also perform some cardio workouts to melt excess body fat. However, not all of us have opportunity and enough time to run in the morning and attend a gym every other day. That’s why today, we have decided to prepare something special for you. Here is a great 28-day planking challenge. 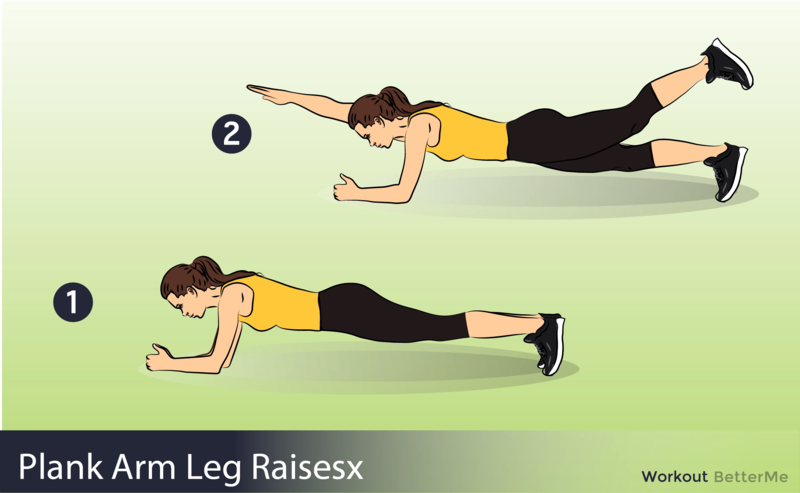 Plank is gaining popularity among people who want to get rid of excess weight more and more, and it is not surprising. To perform this exercise you don’t need much space and time. You also don’t need the help of a personal trainer. Moreover, plank will help you to train the entire body. Just gradually increase the time of holding the position to 4 minutes. Varify your challenge with different kinds of plank! So try our challenge and the results will impress you!